Malbec is one of this century’s most notable and lasting vinous phenomena. And, as with any success story, it’s natural to ask why the performance has been so positive. With Malbec, the explanations tend to focus on its close association with one nation – Argentina – and its equally strong link with one ingredient – beef, especially steak. But such reasons aren’t enough if one wants to understand the sustained demand for Malbec from major wine importing countries around the world. For that, one needs to closely analyse the taste profile of this grape, which is something we’ve done over the course of several years with our Global Malbec Masters, which see us quality-assess samples from this grape from a broad range of sources, with only a knowledge of the basic style and price band. 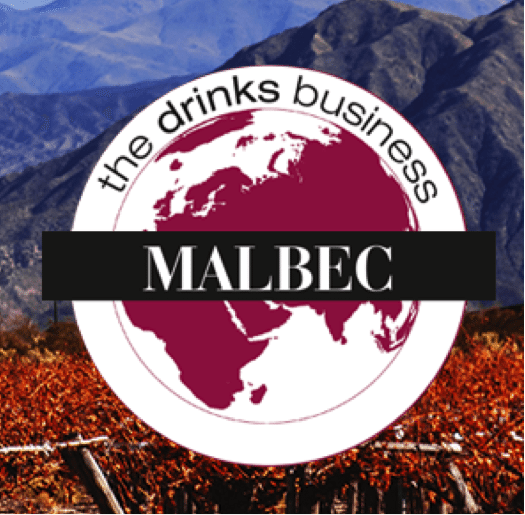 Having chaired such a tasting now on a number of occasions, it’s clear that one fundamental cause of Malbec’s widespread take-up, in both retailers and restaurants, is the quality of red wine it manages to yield even at low prices. This is a grape, particularly when grown in South America, that can produce reliably juicy, fruity, generous and balanced results sub £10 – something that we can’t say is true of other noble grapes, such as Pinot Noir (based on our Masters tastings that consider the character and quality of all noble grapes). Not only that, but if one wants to spend a little more, and surpass the psychological barrier of £10 for a bottle of wine in the UK off-trade, there is a lot of high-quality Malbec to choose from, with the offer between £10 and £20 notably strong in terms of excellence for your outlay. However, it’s over £20 that the truly outstanding results can be found, while there are some fine wines from Malbec being made today over £50 that can happily sit alongside some of the world’s greats, from any grape. Indeed, this aspect to Malbec, it’s ability, even when the sole grape in a red, to create complex, age-worthy, and concentrated wines, is something that deserves greater recognition. While it can make lovely, albeit fairly simple, reds at low prices, it is also a source of fine wine. The areas yielding such greatness, however, are not myriad – although with the development of new places in Argentina, they are becoming increasingly numerate. But, if there was one notable learning from this year’s Malbec Masters, it was this: the crown for the world’s greatest expression of Malbec has been passed back to Cahors. This region in France, the native home of Malbec, has been, relative to Mendoza at least, almost forgotten about in the modern life of this grape – although not without good reason. Sadly, despite the suitability of this variety for Cahors, with its dry climate, and varied terroirs based on clay and limestone soils, the viticulture and winemaking in the last century for the most part, wasn’t conducive to great wines. But, our winning Malbec in this year’s competition was from an estate that was pioneering in the region’s turnaround. 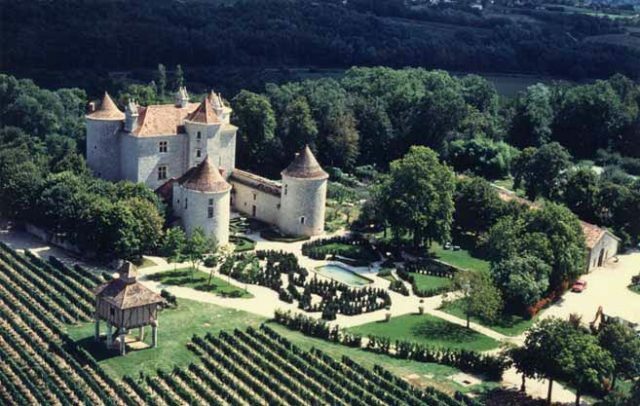 Called Château Lagrezette, owned by the powerful and well-financed former CEO of Cartier, Alain Perrin, this Cahors property has been dedicated to making fine wine from Malbec grown in this appellation. And, instrumental in realising this ambition has been famous consultant Michel Rolland, who has just celebrated 30 years of working in Cahors with Lagrezette. Indeed, speaking to db following this year’s blind tasting, and not aware that his wine had been our highest-scoring Malbec in the competition, he said that Cahors had “been in the Middle Ages, but now makes beautiful wine”. Rolland is, however, best known for his work with Malbec from Argentina – where he crafts and part-owns the Clos de los Siete brand – and sees both Cahors and the south American nation as sources of first-rate Malbec at a range of price levels. While he says that the limestone soils and slightly cooler climate of Cahors brings a Malbec with more freshness, key to this grape’s performance in southwest France and across the full length of Argentina, is the dry nature of the climate. Malbec is very sensitive to moisture during both flowering, and the end of the ripening season, and both Cahors and Argentina have continental conditions, ensuring that precipitation during the growing season is very low. There are of course other places where Malbec can produce lovely results, including parts of Chile, Colchagua in particular, along with California, especially Napa, and Australia – we even awarded a top accolade of Malbec Master to Wakefield/Taylors for its example from Clare Valley. More of a surprise in this year’s results was a delicious example from the Aegeon, where Turkey’s Kavaklidere is behind a varietal Malbec of note. Within Argentina, the quality of the Malbec is well recognised from the historic area of Lujan de Cuyo, where old vines and great winemakers are combined to great effect (particularly in the Las Compuertas sub-region, home to producers such as Terrazas de los Andes). But relatively new to the Argentine Malbec story is the Uco Valley, and within it, the emerging sub-regions of Alta Mira and Gualtallary, where high-elevations and particular soil profiles are creating Malbecs of extraordinary balance and concentration. Not only that, but as the vines age, there is more to come. Maybe not reaching quite the same level of quality and intensity, but coming close, are the top wines from Argentina’s San Juan – a region best-known for big volume production, but within it, in the higher attitude Pedernal Valley, a source of fine wines too (proven by the Gold medal for the Pyros Single Vineyard Malbec in this year’s Masters). But the other change in Malbec making, particularly within Argentina, is connected less to altitude, soil, and vine age, but the winemaker, in terms of their handling of the grapes, from earlier picking times to gentler extraction regimes and shorter barrel-maturation times. In general, the top names in the country are becoming more confident in the inherent quality of the Malbec being produced today, and are happier to intervene less in the cellar, but also pick a bit sooner to create a fresher less jammy style of wine. In short, Argentine Malbec is still a powerful style of wine, but today’s top examples are less likely to smell and taste so strongly of barrel-sourced characters, and more likely to showcase pure fruit flavours, from raspberry to blueberry, than something more raisined. Cahors, on the other hand, which was producing rather hard wines with some unripe fruit characters is, as yields are reduced, and average temperatures increase, producing richer Malbecs. So, while French Malbecs are bulking up, Argentine equivalents are slimming down. The key in either case is balance. And, the top examples over the following pages are wines where there is fruit concentration and ripeness, without too much sweetness and warmth from high alcohols. Furthermore, while we embrace some of the more fresh, floral and red berry characters of well-made Malbec from cooler sites, where early-picking produces greener flavours, we were less likely to award top-scores. Of course a touch of spicy pepper, akin to Syrah from the Northern Rhône in a cooler vintage, can be a complexing element to sharper, fresher Malbec styles, but our belief is that this grape should not yield wines with crunchy green characters, even in small doses, and particularly at the top end – where consumers are looking for ripe, concentrated wines. While Malbec from traditional sources such as Cahors, and new higher parts of the Uco, still has potential for improvement, our feeling is that the next stage in the stylistic development of wines from this grape, will come by blending Malbec with other grapes. On its own, the grape can certainly deliver plenty of fruit and texture, but other varieties could be successfully used to add a bit of seasoning to Malbec, a touch more complexity and persistence, as well as stylistic diversity. For now, however, if you want to know who’s making delicious Malbec right across the price spectrum, look at the medallists from this year’s competition – featured in full, below.